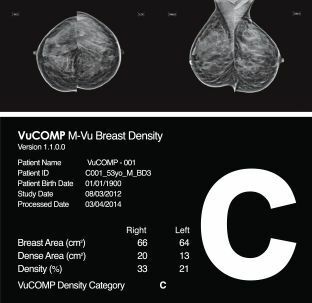 Minnesota has become the 16th state in the U.S. to report breast density to the patient as Governor Mark Dayton signed the bill into law on May 21. The law will come into force on August 1. The Minnesota Radiological Society lent its support, stating that it believes the bill should result in conversations between the patient and her treating clinicians for the appropriate use of testing, including mammography and other breast imaging, in order to reduce the chance of death from breast cancer. Dr. Nancy Cappello, the inspiration behind the first density reporting law in the nation in Connecticut in 2009 said she was delighted that Minnesota has joined 15 other states to disclose dense breast tissue to the patient, which will help patients in their discussions with health providers about personal screening surveillance. Ten states have introduced density reporting bills so far this year. Rhode Island and Missouri bills passed in both chambers and are awaiting action by the Governor. Source: Are You Dense Advocacy, Inc. Image credit: The Web site of the U.S. National Cancer Institute (http://www.cancer.gov).